I was introduced to Wagamama a few years ago and prior to visiting the restaurant, I was under the illusion that they only served noodles and soup, which yes, they do, however I remember being pleasantly surprised to have seen that their menu had a lot more range than I initially thought! I am a big fan of Squid, particularly the Chilli Squid which is what I usually go for but seeing Tama Squid on the menu jumped out at me and sounded rather tasty! Crispy fried squid balls drizzled with Okonomiyaki sauce and Mayonnaise topped with Aonori and Bonito Flakes. When the dish arrived we were told that parts of the Bonito Flakes moved whilst they were warm which was a pleasant surprise! They were delicious. One of my favourite dishes and I would even go as far as to say I preferred these to Chilli Squid! They were slightly hard to bite into and rather crispy but soon melted in the mouth and burst with flavour! Okay, I failed. (Kinda). I love Katsu Curry, what can I say!? However, this was from the Vegan/Vegetarian menu and it had been a while since my last visit so this menu was completely new to me. Differing from the main menu, the Yasai Katsu Curry comes in the form of Sweet Potato, Aubergine and Butternut Squash coated in crispy Panko breadcrumbs which has the infamous curry sauce drizzled on top. This also comes with sticky white rice and a side serving of salad. For me, this was the perfect alternative to the Chicken Katsu Curry! There was near enough no difference in taste other than the Sweet Potato circles which were soft and tasty. My only personal thought on this dish was that I found 4 of the Sweet Potato circles a bit too much… They were incredibly filling so I only managed around 2 and a half but with that being said, this was just a personal preference! Despite feeling fit to burst at this point, me and my friend always, have room for desserts… I opted for the Chocolate and Shichimi Ice Cream and as I took the first scoop, the chocolate was so creamy and rich and as I began to swallow, a whole explosion of the Shichimi burst inside of my mouth! At first it took me by shock as it was spicy and not something I had envisaged being inside of a chocolate ice cream! I persevered through as the chocolate was so delicious but the spiciness was a little overwhelming at times. 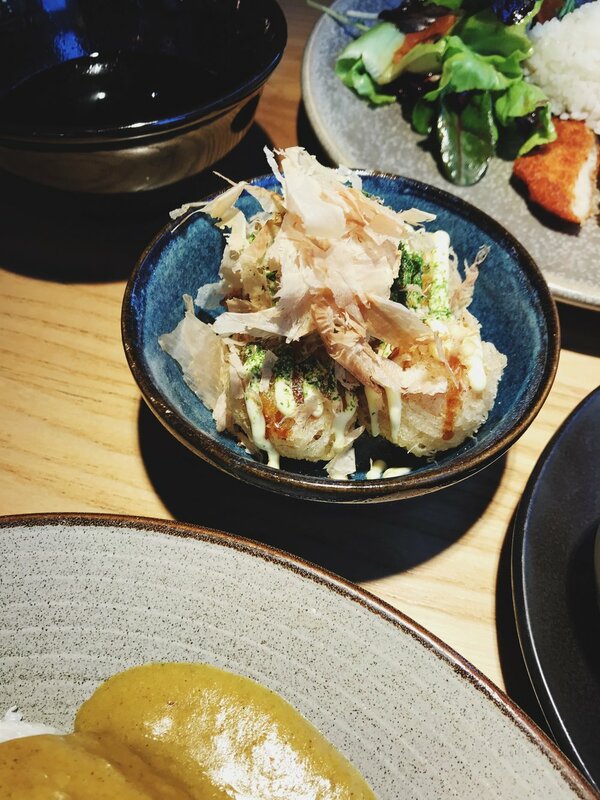 I had a wonderful time at Wagamama and it was a great way of trying out new dishes and being able to taste things I may have not noticed or ordered before! A big thank you to Caitlin and the team for inviting me along and I am already looking forward to my next trip for the Tama Squid again! Have you visited Wagamama before? If so, what do you typically order? Have you tried anything from the Vegan/Vegetarian menu? What did you try? Have you tried any of the things I’ve mentioned within this blog? Do let me know your thoughts below as I would love to hear from you, and don’t forget to click the ‘like’ button! Towards the end of last year, I had the pleasure of being invited along to the preview night of the exhibition; 100 Women at SHOWStudio in London! I had previously viewed a few other exhibits at the studio before such as Moving Kate and Fashion Flora, so to be invited along to an exhibition where women in fashion were being celebrated as part of the Centenary year, was a must for me. 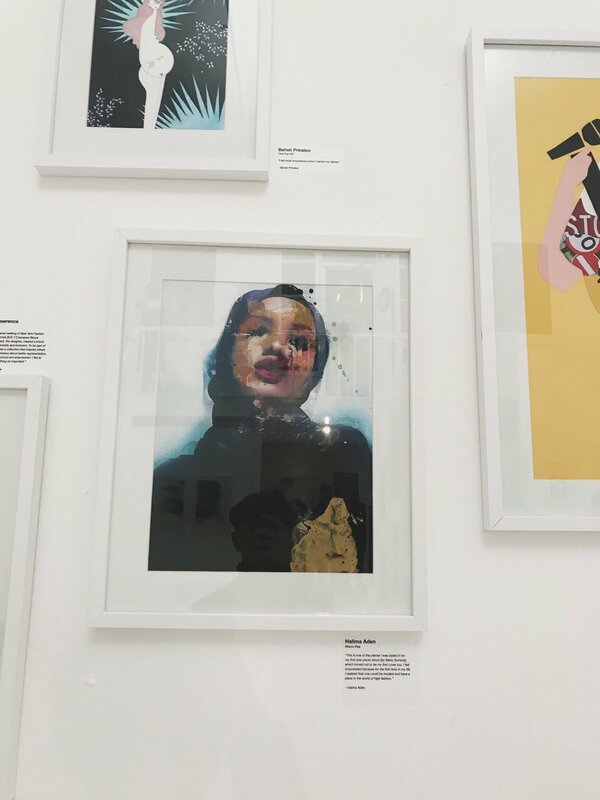 The exhibition was created by selecting 50 fashion illustrators to interpret 100 models, past and present, who have all been known to challenge the typical conventions of femininity such as; Naomi Campbell, Kate Moss, Halima Aden, Iman, Slick Woods, Stella Tennant and many more. I made my way into the exhibit and was immediately drawn to the illustration of Naomi Campbell by Tobie Giddio. The artwork was strong, powerful and was the perfect representation of Naomi I felt! Each model was asked to select an image or look of them that made them feel empowered at the time alongside a quote of how and why this was so impactful to them. It was interesting to see the models favourite looks and their accompanying quote to grasp a better understanding of how they felt empowered at the time. 100 Women is available to the public to view at SHOWstudio and is a must for any fashion lover out there! 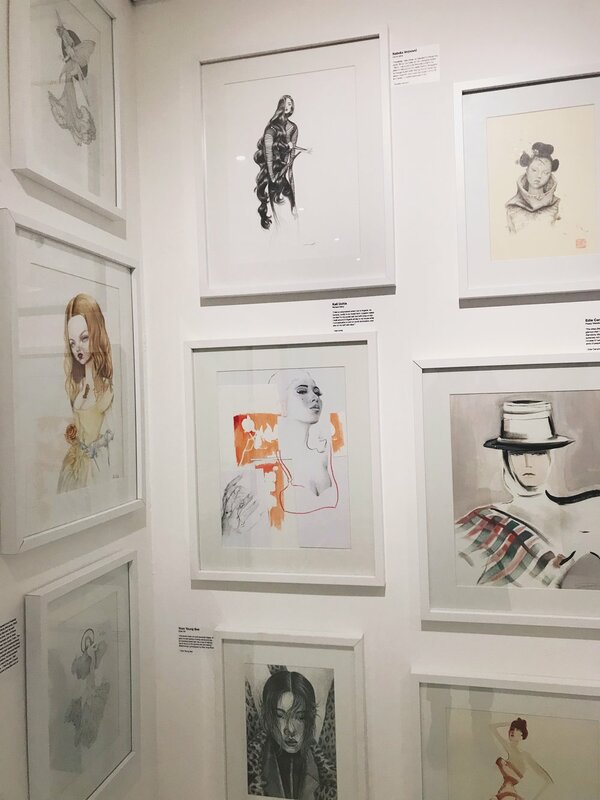 10% of the proceeds from the sale of any artworks will be donated to Women For Women UK and you can view the full list of the illustrations alongside the models captions here. Have you visited the 100 Women exhibit yet? Can you spot any of your favourite models in my photographs? 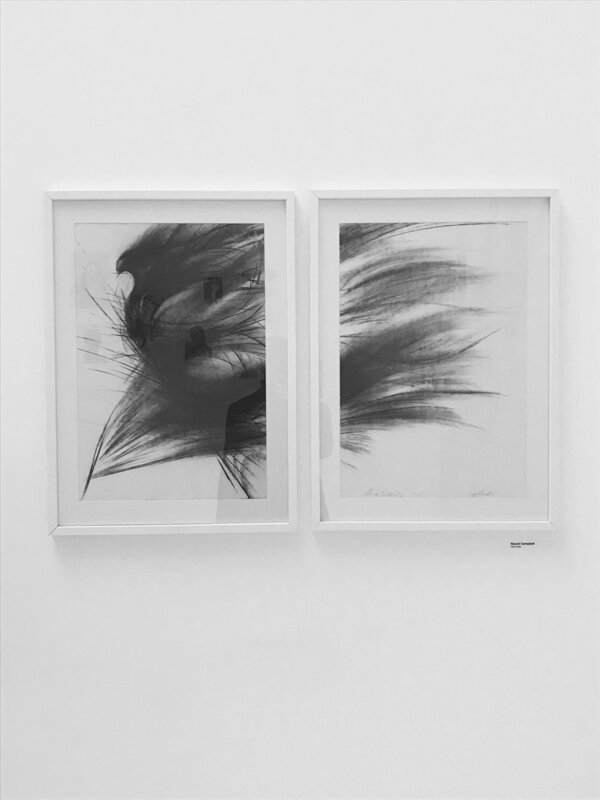 Have you been to any exhibitions at SHOWstudio before? If so, which ones? Do let me know your thoughts below, and don't forget to click that 'like' button! 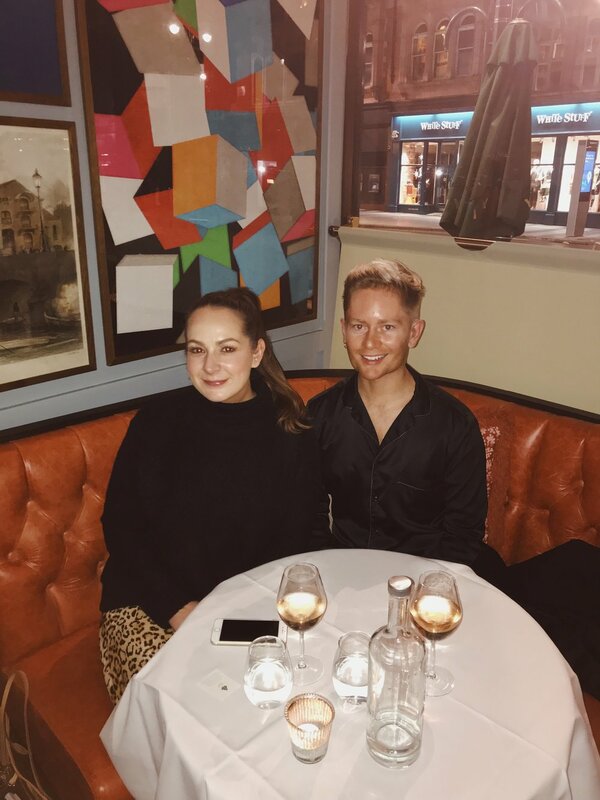 I had been invited along to The Ivy in Leeds which is a fairly new addition to the ever-expanding Victoria Quarter having just opened up in late September! 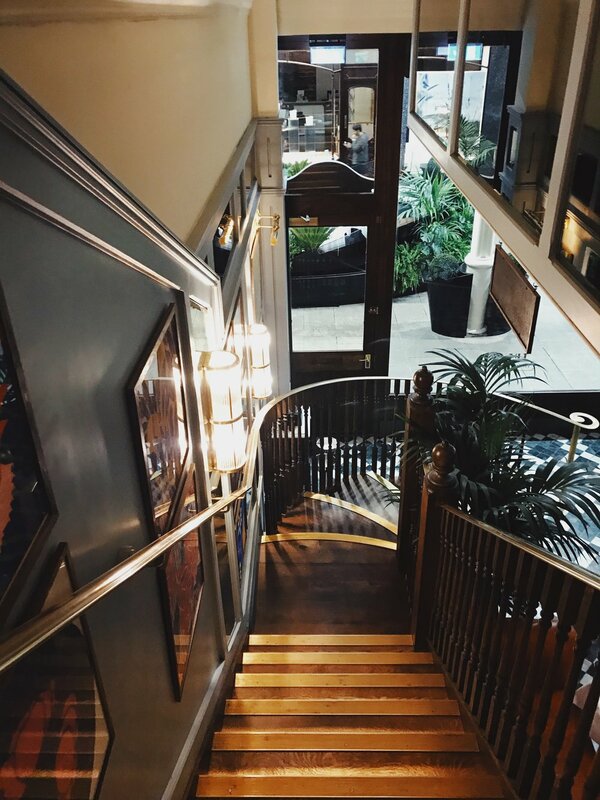 Having already visited The Ivy before in Harrogate, I was excited to take a look at the restaurant in Leeds to see the layout and to get my hands on their delicious food. *Please note, this image was taken a week or so after my visit! 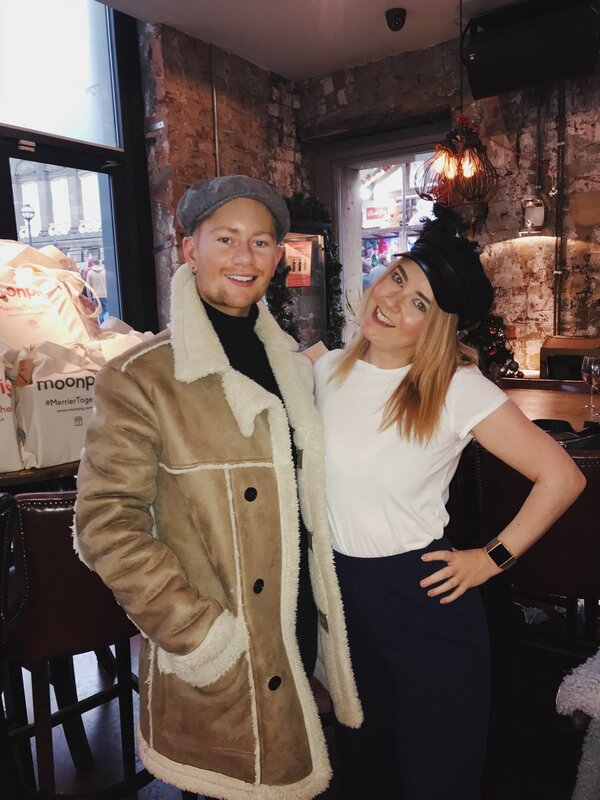 I invited my blogger friend with me, Jessica, who I had met at the Northern Blog Awards where we had both just clicked! Upon arrival, the lovely hosts had taken our coats and walked us over to the bar where we had a glass of Prosecco waiting for us. We then got seated at a table just by the entrance, and as I was looking around at the surroundings, the restaurant was rather busy yet had a chilled atmosphere and it wasn’t too loud for me to be able to hear which is something I always take into consideration as I am deaf so restaurants and bars can prove rather tricky sometimes! 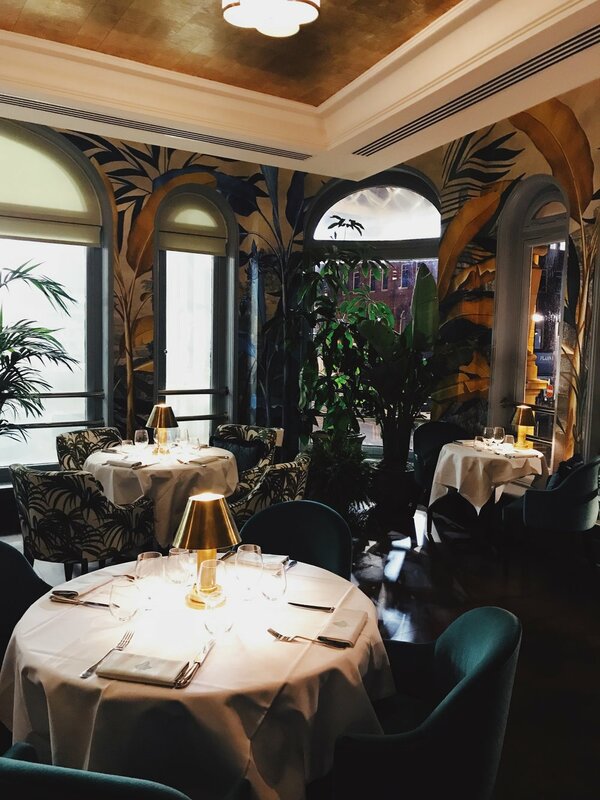 The interior and decor of The Ivy was very glamorous with an Art Deco theme running throughout and had that luxurious feel that The Ivy is well known for. We were treated to a three course meal where for starters I had the Prawn Cocktail which came with baby gem, avocado, cherry tomatoes and Marie Rose sauce. The starter was delicious although the sauce was a little sweet for me. For my main I chose the Chicken Bourguignon which was a flat-iron chicken with crispy skin with creamed potato, chestnut mushrooms and bacon lardons. This was very tasty, however, a rather large portion! There was just a little too much on the plate for me but I gave a good go at trying to finish it all! To complete the meal, for my dessert I chose the Chocolate Bombe which I had previously seen on Instagram being ‘Boomeranged’ countless of times which entails of a melting Chocolate Bombe with a vanilla ice cream and honeycomb centre with hot salted caramel sauce poured over it… Okay I think I’m going to head back especially just for this ASAP! It tasted just as good as it sounds! Throughout the meal the staff were very attentive, kind and friendly, even to the point where they had recommended which food we should try out and what their personal favourites were. We also had a bottle of Provence Rosé which went down a treat! By the end of the night it was safe to say both Jessica and I were stuffed and were equally impressed with both the quality of service and food/drink throughout. Thank you to The Ivy for inviting us along! To view more details and to take a look at their menu, click here! To book book a table, click here. 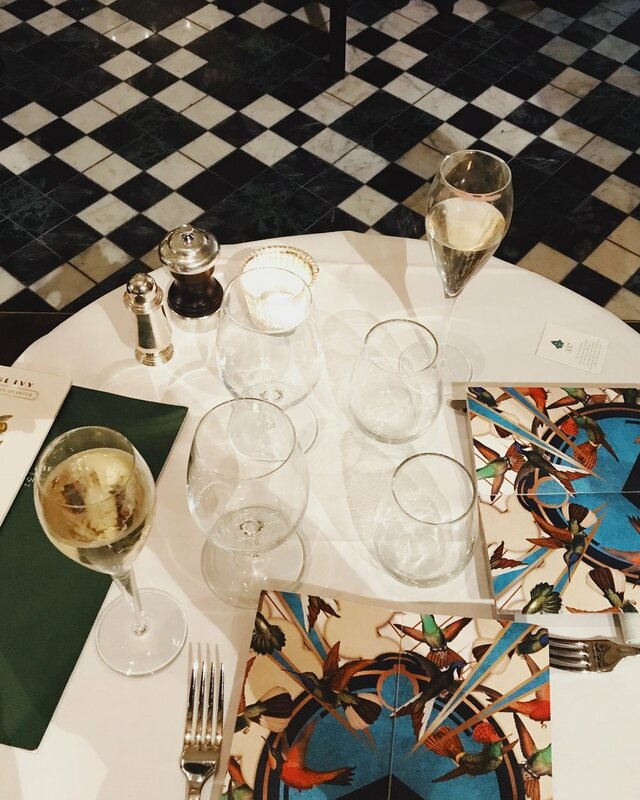 Have you visited any of The Ivy restaurants before? Where did you go? Have you visited the Leeds restaurant yet? If so, what did you order? What is your favourite part of The Ivy if you have visited? What do you recommend I should try next? Let me know your thoughts below, and don’t forget to click the ‘like’ button! 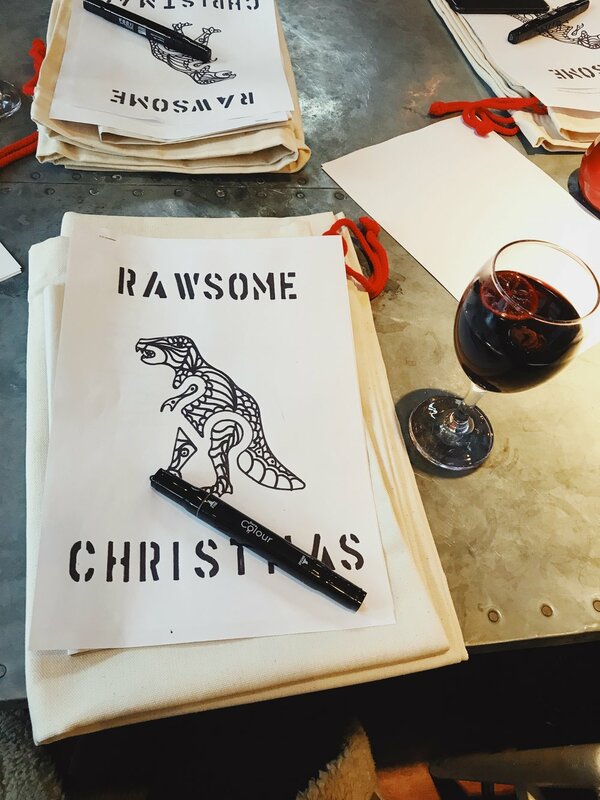 Isn’t Christmas just the most magical time of the year? With all of the wonderful sounds of the Christmas Carollers singing the traditional carols, radio stations and stores playing those catchy Festive songs that get stuck in your head for hours on end, the excitable noises children make when they see Santa appear on TV!? Well, with 32 million deaf children around the world, the sad reality is that many of them don’t get to hear or experience these sounds that many of us take for granted at Christmas time. They also don’t get to experience that close connection with getting lost in a book at bedtime when a story is being read to them, at a time when a child’s mind is the most imaginative. 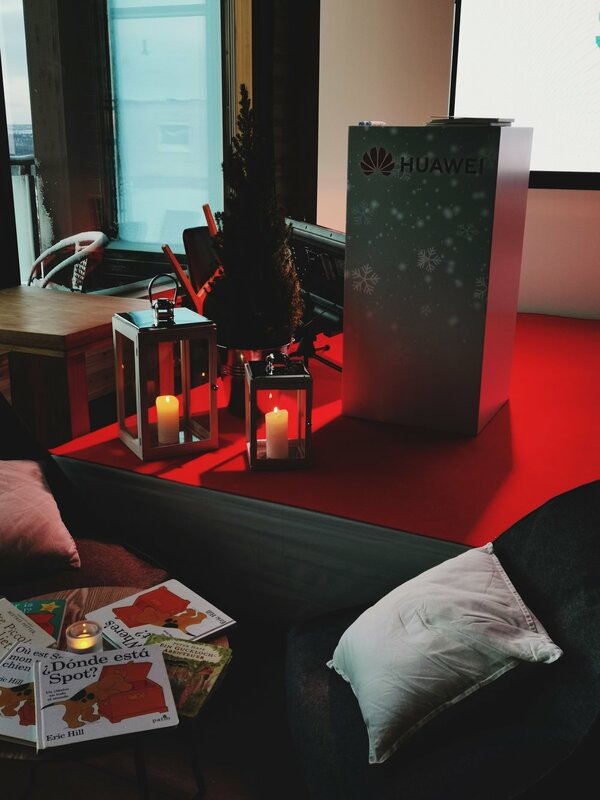 I recently joined Huawei on a 3 day trip to Lapland where I got to find out more about their latest release; StorySign. When I initially read the invite where it described a little bit about the app and how it aimed to help deaf children globally, I was naturally very intrigued, especially as it is so close to home for me being deaf myself and is a subject I am very passionate about when it comes to raising as much awareness for the deaf community! Mark Wheatley - the executive director of the European Union of the Deaf. Neil Pymer - the creative director at Aardman Animations best known for Wallace & Gromit. 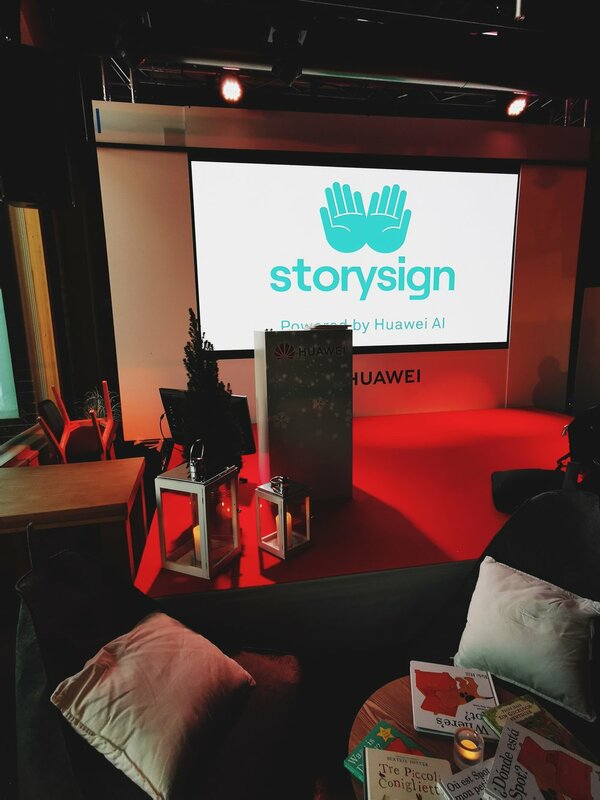 StorySign is an app in which Huawei want to help create an authentic way for deaf children to be able to interact with stories at bedtime. By using AI (Artificial Intelligence), it also features Image Recognition and Optical Character Recognition. The power of Image Recognition means that the books can be read from a 45 degree angle, creating a natural way to read a book at bedtime without having to worry about the best position of the book for the child to be able to understand. The Optical Character Recognition means that the books can be translated from words into Sign Language giving a more accurate reading, whilst the AI helps power the speed of the turning of pages which enables children to keep stimulated without having to wait too long to find out what happens next. Neil Pymer gave us an insight into how the app had been created, telling us how each facial movement and hand movement in sign language had all been recorded and looked over at with a fine tooth-comb to ensure that the Sign Language is brought to life in the most natural way. I was pleased to see that facial movement had been translated and considered into the app, as with many deaf people, facial expressions and movements help to get their point across as well being able to lip read to fully understand what they’re saying! They came up with an avatar/character in the form of; ‘Star’. A young, animated girl who translates the words from the pages of a book, into Sign Language onto Huawei’s mobile screens. Mark Wheatley signed on stage that he hopes that the StorySign app will create an impact in the deaf community and after having seen a short-film of deaf children who had visited Lapland prior to our arrival just a few days beforehand, it was abundantly clear to see that an impact had already been made. The children’s faces when Star appeared signing the words from the pages of the book onto the Huawei mobile screen were all lit up! The video itself was incredibly touching and really hammered home just how important and how much of a difference StorySign can, and is already making. Once the presentation had ended, we were all then given an opportunity to use the StorySign app ourselves and hover it over the pages from the ‘Where’s Spot’ book, and that initial moment when Star first appeared, was magical! I think I can speak for everybody who had that opportunity of seeing it firsthand that we were all in amazement at how lifelike the animation of Star was and that the Sign Language was incredibly detailed down to the hand movements, and facial expressions. Going to Lapland to be able to see StorySign ahead of its release was an experience I’ll never forget, and it has emphatically hit home just how important it is for any child to be able to have that special ‘Stories at Bedtime’ routine with their loved ones! This short trailer below features Maisie who you may recognise from the Oscar Winning Movie: The Silent Child. For me, I was a little shocked as to how this app has only just come about, and that there wasn’t anything else like this out there before Huawei’s release. It takes 43 minutes on average to read to a deaf child, yet it only takes 31 minutes to read to a hearing child! Deaf children are already at a disadvantage when they go to school, many of them being mainstream schools which don’t have the facilities or resources to be able to support deaf children with their literacy skills meaning many of them get left behind. 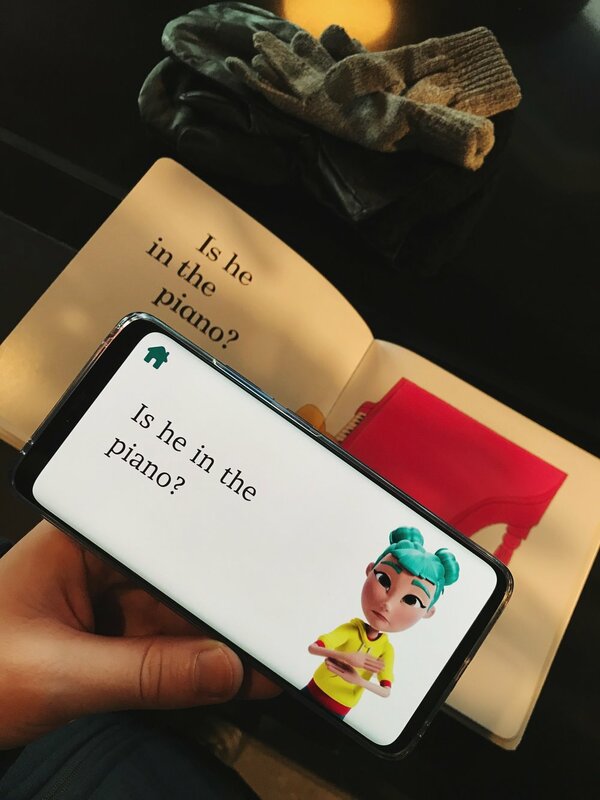 With StorySign, this can help bridge that gap by improving the literacy skills of deaf children whilst enabling them to feel connected to the story! StorySign is available from Google Play Store and Huawei’s AppGallery across 10 countries in Western Europe. 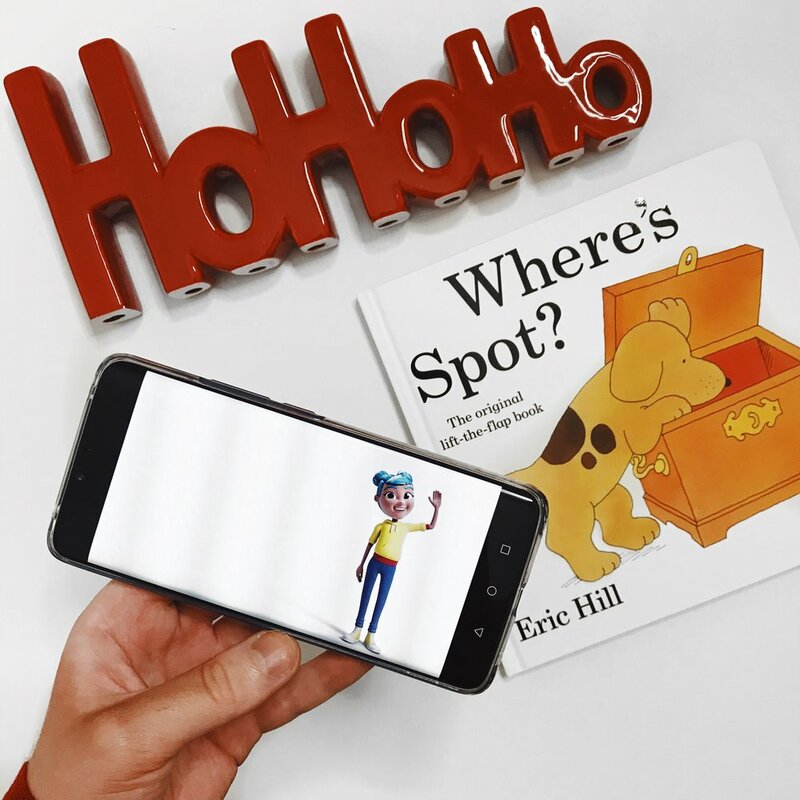 With the app having only been released just 2 days ago, Huawei have set up the app to be able to translate the ‘Where’s Spot?’ book, but hopes to add to its library once the StorySign movement gets underway. To help expand the library for more books to be translated into Sign Language, simply donate here. Thank you Huawei for inviting me along, it’s been a magical experience! Will you be trying out StorySign? Have you already tried it? If so, what do you think to it? Do you think it will make a difference to the deaf community? What other books would you like to see be translated? I would love to hear your thoughts on this as I genuinely believe it will make a huge difference so leave me a comment below so we can continue spreading awareness! Don’t forget to click the ‘like’ button also! As I arrived there was a glass of mulled wine waiting which perfectly kickstarted the festivities for the afternoon ahead of us! We had an introduction to the brand by Claire who also shared with us about Moonpig’s special Christmas message which was all about how in this day and age we can forget to take time out, away from our busy, fast paced lives to show our loved ones how much we care for them which can be done through meaningful words in a personalised card. Whether it be a caring message, or perhaps a humorous one to uplift their spirits! 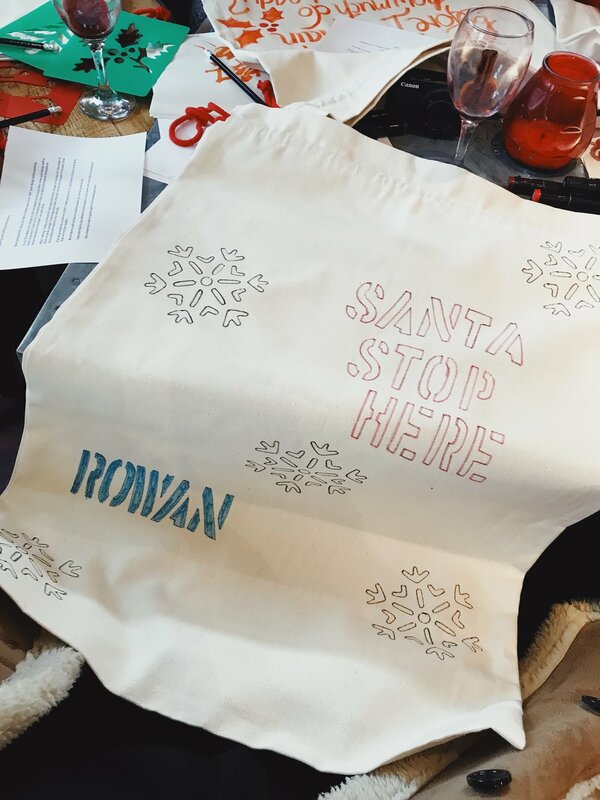 For my Santa Sack, one of my good friends gave birth to a boy last year so I decided to make one for him and I opted for minimalistic, scandi chic look! 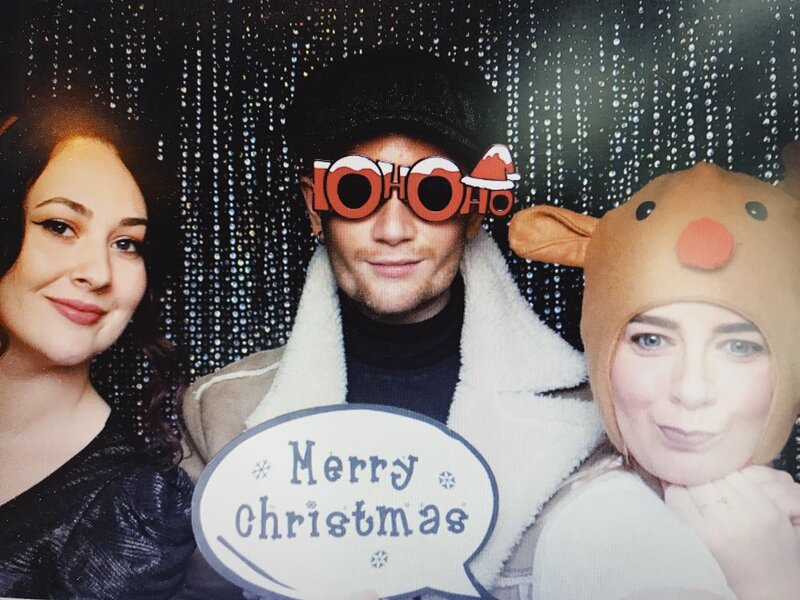 Creating my own Moonpig card was a lot of fun as I shared the photo-booth with my blogger friends Emma and Luiza. Once we had created our Moonpig cards, we could then select who we wanted to send these out to so I chose my family! 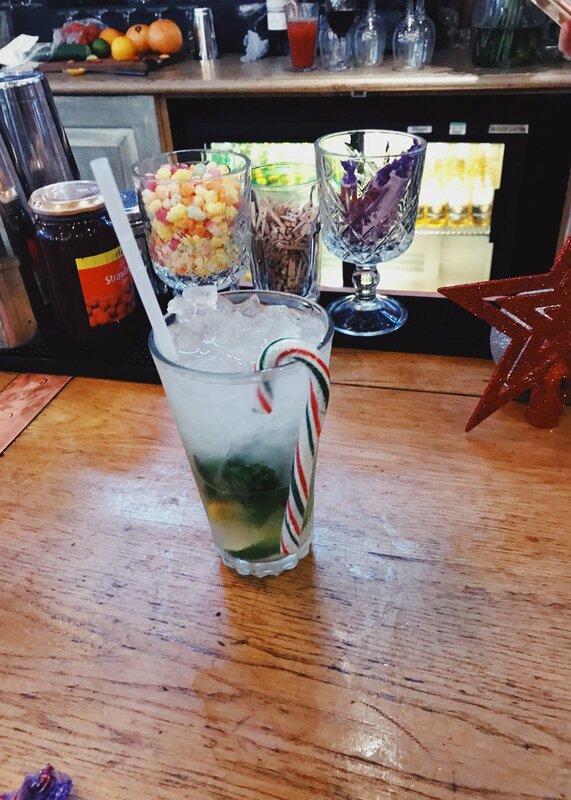 After that, our group then switched around to do the Cocktail making class which was deceptively harder than I originally thought… One part of our group made a Strawberry Woo Woo whilst the group I was on made a Mojito! I think I went a little overboard with the mint in mine, oops. 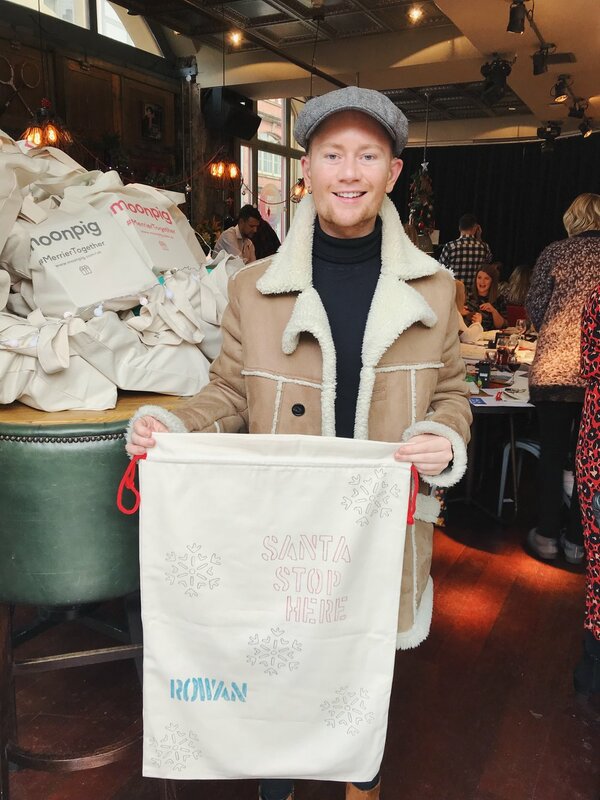 Thank you to Moonpig for inviting me along, I had a lovely day and as it was my first Christmas event, it kick started the seasons festivities off for me and has got me all geared up for Christmas! To celebrate Christmas, Moonpig currently have some Christmas offers on which are 50% off any 5 cards or more when you purchase them and 20% off when you buy a card and a gift together. 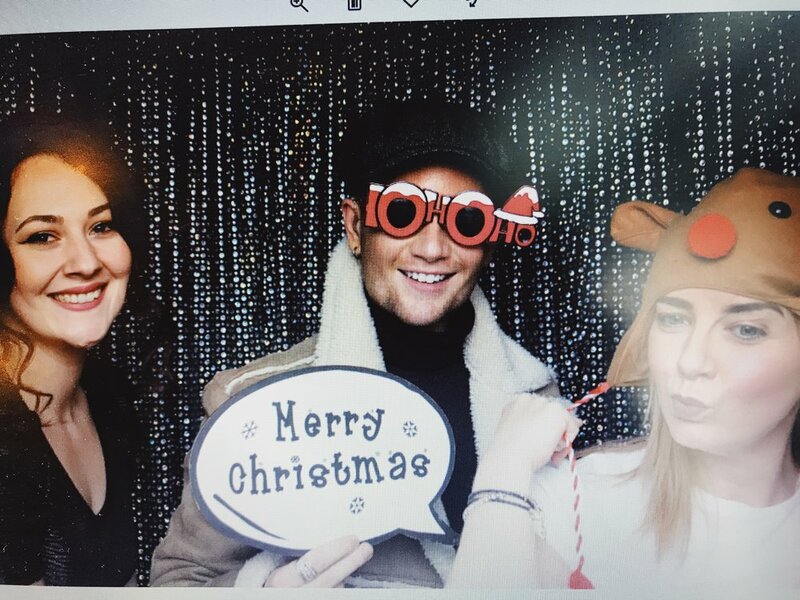 To view their Christmas Cards range, click here and for their Christmas Gifts range, click here! Have you shopped with Moonpig before? Can you say Moonpig without singing ‘.com’ at the end of it? Do you tend to go for humorous cards for your loved ones, or do you like to be meaningful? Let me know your thoughts below as I would love to hear from you and don’t forget to click the ‘like’ button! I had recently been invited along to Penhaligon’s in Victoria Quarter: Leeds. Now, if you have ever visited Victoria Quarter in Leeds before, then you may find yourself wondering where that gorgeous, musky scent may be coming from as you’re walking through and I can reveal that it is indeed coming from, Penhaligon’s! This was my first visit to the Penhaligon’s boutique, however, it wasn’t my first encounter with the brand as I have previously had the chance to review their ‘Roaring Radcliff’ fragrance which can be read here. 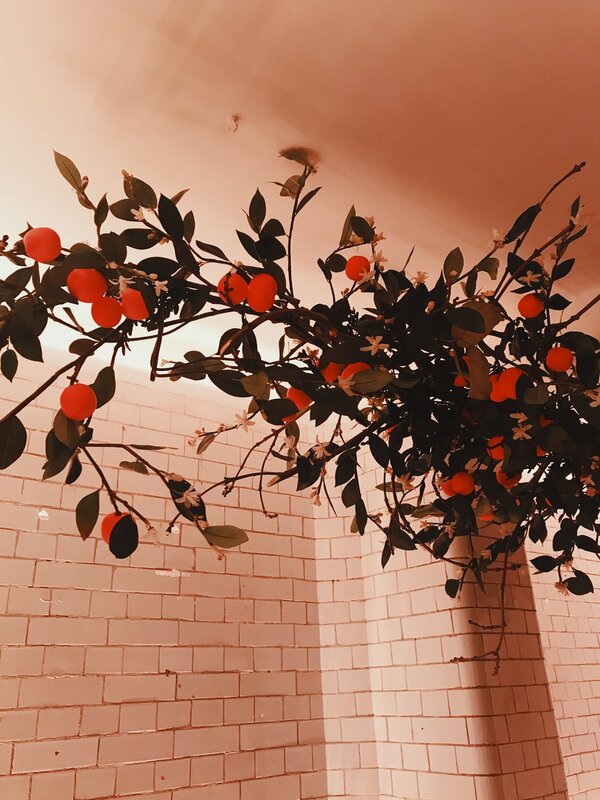 I met with two lovely ladies from the Pehaligon’s team and was asked a series of questions to determine which scents best suited my personality and taste! “What do you like to drink?” “What do you like to eat?” “Are you a day or night person?” “How do you want to feel whilst wearing the fragrance?” “What sort of holiday do you enjoy going on?” were just a handful of questions that were asked to me to get a well-rounded view to be able to help when finding the best fragrances suited to me. For the daytime, I enjoy wearing fresh yet aquatic scents that feel light and airy yet still have a strong projection, and for the nighttime I enjoy wearing rich, sensual and powerful fragrances that have a good longevity to them! Both of these couldn’t differ any more even if they tried, however, the one thing that connects them both, is their bold projection! Once I had found my two fragrances, I was beyond grateful when I found out that I would be able to take both of these away with me! With every bottle purchased from Penhaligon’s, you can also have the option of having your bottle engraved, which of course I jumped at the chance of doing. With that being said, the bottle of Blasted Bloom is a frosted glass texture which meant that they were unable to engrave this bottle, but could still go ahead and engrave ‘Mr. LC’ on my Kensington Amber bottle. I will be doing a full review on both of these fragrances in due course and I have to say, having worn Kensington Amber on a few occasions, I have gained many compliments on this! Penhaligon’s Boutique can be found in Victoria Quarter in Leeds and within the store, a large screen is presented with the ‘Fragrance Profiling’ with the same questions I had been asked and at the end of the questions, it will then show you a few fragrances based on your answers that you may be best suited to! You can also try out their ‘Fragrance Profiling’ here also. A huge thank you to the team at Penhaligon’s for inviting me along to try out their ‘Fragrance Profiling’ and once again for selecting my fragrances! Have you been to Penhaligon’s before? Have you tried any of their fragrances? If so, which ones? Will you be trying out their ‘Fragrance Profiling’? Do let me know your thoughts below as I would love to hear from you, and don’t forget to click the ‘like’ button!